The art of story telling is hardly something new. A huge part of culture, entire civilisations have been built on the art of telling a story, be it factual or fictional. Giving birth to the idea of literature and film but how can it be incorporated in music? The concept album is an art form that has been around since its seventies hey day. Forming a bridge between the Horror medium and the concept album Carach Angren have had their finger on the (deceased) pulse of the story. Previously releasing 2015’s This Is No Fairytale, now the band return for their most ambitious haunting yet, Dance and Laugh Amongst The Rotten. Going slightly left field after the linear tale that was This Is No Fairytale, Carach Angren have instead decided to focus on less of the story and more of the material itself. With a brand new album that features nine tracks, each song is in their own right essential to the understanding of the album yet can work perfectly independently on their own accord. It might not be the first time the band have done it but its their best. 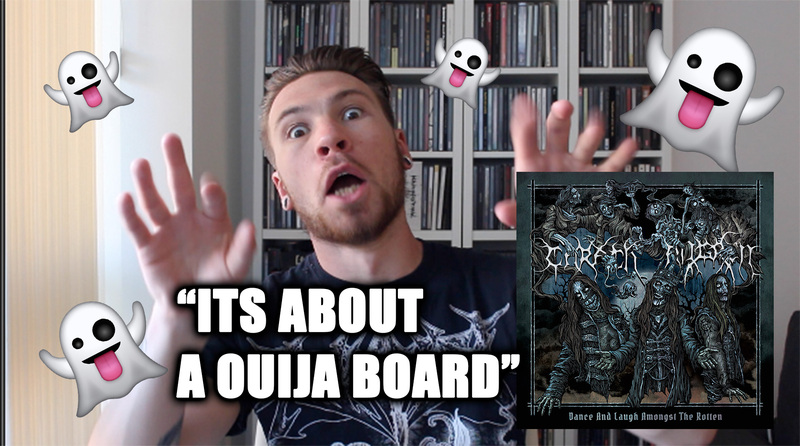 Exploring the idea of what it would be like to contact the dead, Carach Angren center their story around the use of a ouija board and with it have conjured not only malevolent spirits but what could be their best album to date. See the video review below to see just why!